Removing Ear Wax - 5 Important Tips How To Do It? Ear wax is a combination of debris and natural secretions. The secretions are designed to protect the ear from foreign material. There are several home remedies you can try for removing ear wax. Note: If your ear drum has a hole in it or you have ear tubes, do not use home remedies. See a doctor for safe ear wax removal. 1. Soften the wax. One home remedy for removing ear wax is to soften the wax. A few drops of glycerin, hydrogen peroxide, mineral oil, or baby oil placed in the ear canal will soften ear wax. Do this twice a day for four to five days. 2. Use warm water.You can also use warm water as a means of removing ear wax. After you have softened the ear wax with the first technique, you should gently flush the ear canal with warm water. 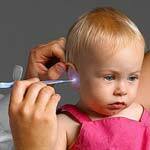 Pull on your outer ear to open the ear canal while simultaneously tilting the head. 3. Dry thoroughly. When you are finished, turn your head the other was so the water can drain out. After finishing these techniques for removing ear wax, be sure to dry your outer ear gently with a towel or hand held blow dryer. 4. Use an over the counter ear wax removal kit. You can also purchase kits for removing ear wax in your local drug store. If you are in doubt, ask your doctor for a recommendation. 5.< If your ear wax removal home remedy doesn’t work, you should ask your doctor to remove the wax for you.